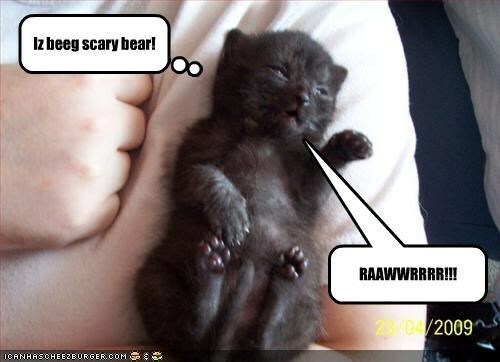 Home Feline Foster kitties Cory the LOL… bear? Jack Deth in response to: Cory the LOL… bear? 2 seez t3h Wurrld froo bloo ieez. Icanhasfockses in response to: Cory the LOL… bear? Wow! Jack made a poem from my LOL! I am honored.